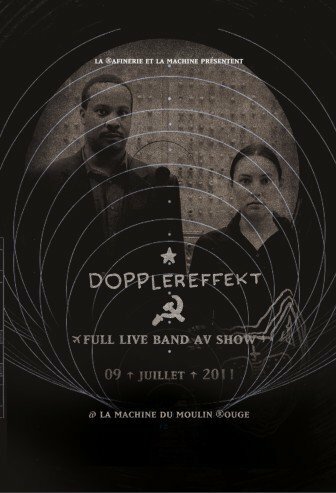 This image is the pretty cool flyer for the next Dopplereffekt live show happening in Paris on 9th July. I've done my best to grade and list some of the latest Dopplereffekt live videos to be posted YouTube for you. Loads more out there, not hard to find. Dopplereffekt appear to go mysterious on the new tracks at Bloc, some great stuff. When will there be a new album? Half way through this video the footage of Dopplereffekt starts, really good.